Under our 100% Happiness Policy, we offer a generous 30-day refund guarantee from the date of purchase! To get a refund, follow this link and cancel your subscription. Click on the "Cancel" link at the right of your plan. 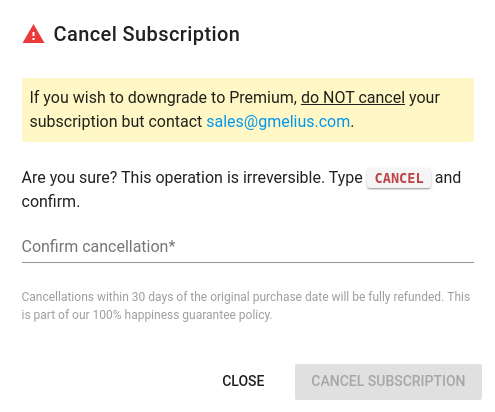 Once confirmed, your subscription will end immediately, your Gmelius account will revert to the Free limited plan and you will be automatically refunded.